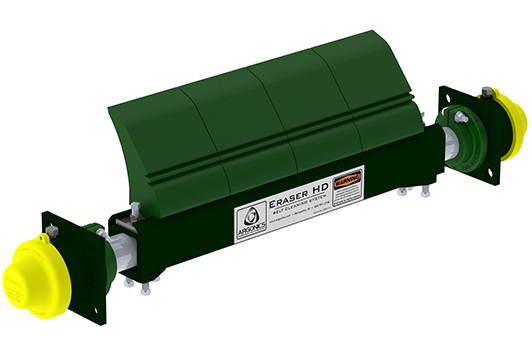 The Eraser HD is designed to withstand heavy vibration. This system has a reinforced mainframe and a heavy-duty channel attachment design. It utilizes a series of 6” wide x 7” tall (152 mm x 178 mm) blade segments that conform to crowned head pulleys. 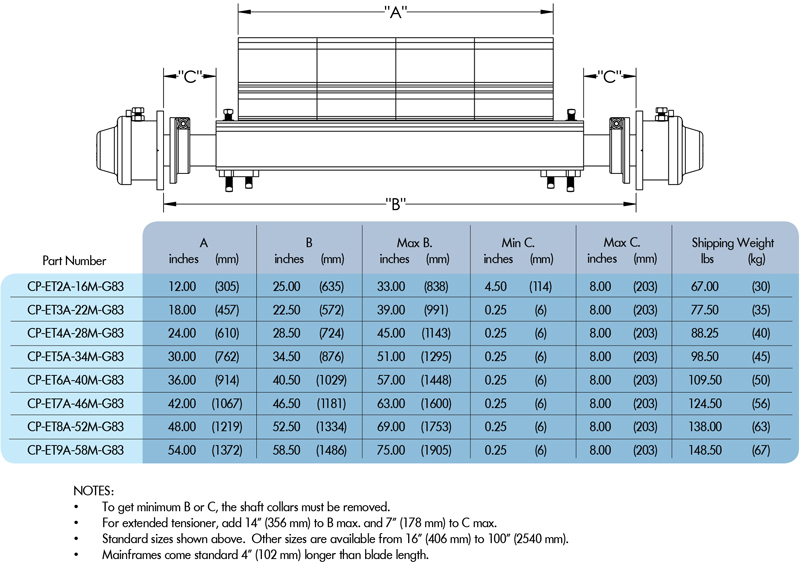 Designed for superior strength and durability with a .25” (6 mm) thick, 3” x 3” (76 mm x 76 mm) tube stock steel mainframe and corrosion-resistant, galvanized Schedule 80 pipe stub ends.